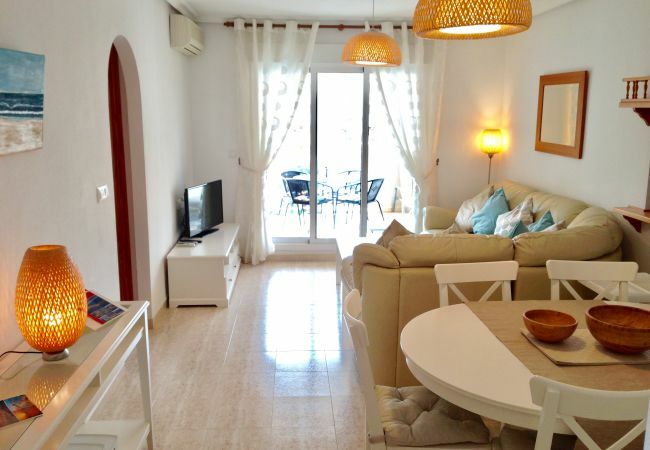 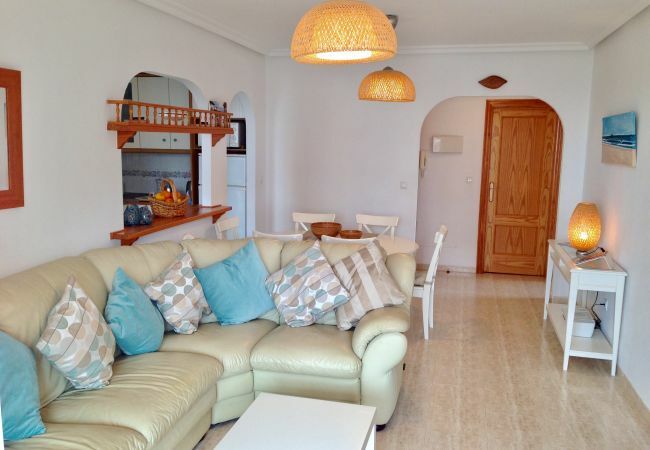 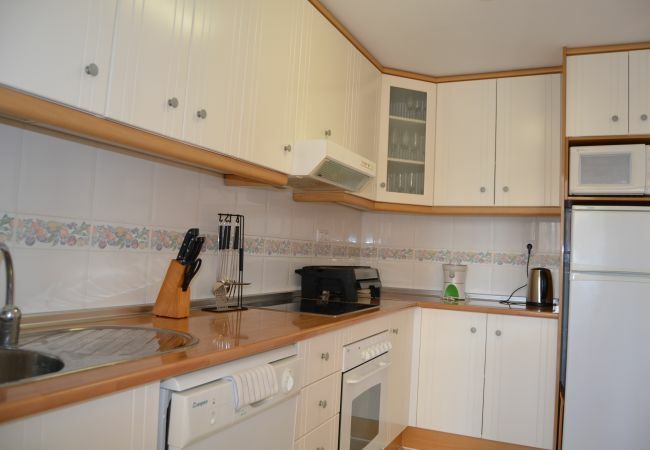 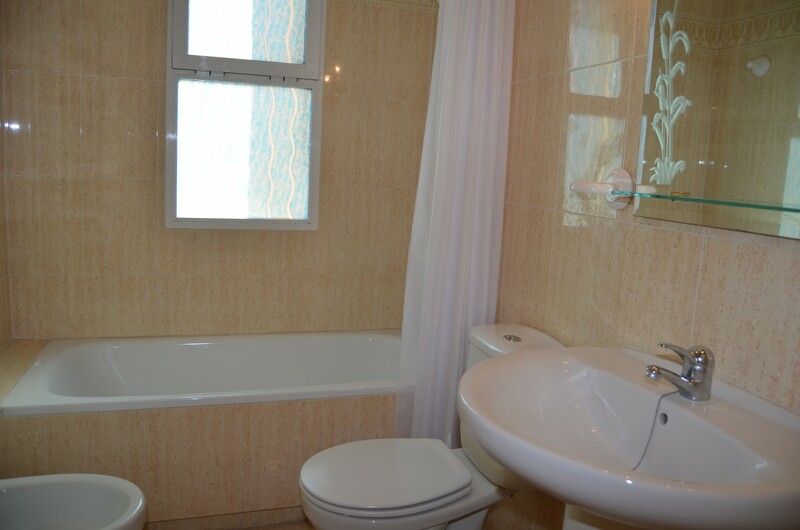 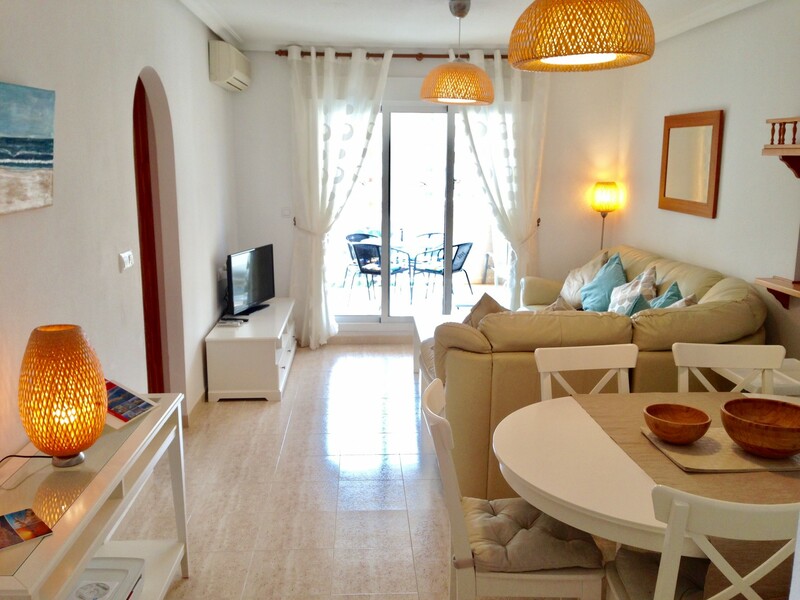 This apartment is located in the Puertomar complex, near to the port of Tomas Maestre on La Manga strip. 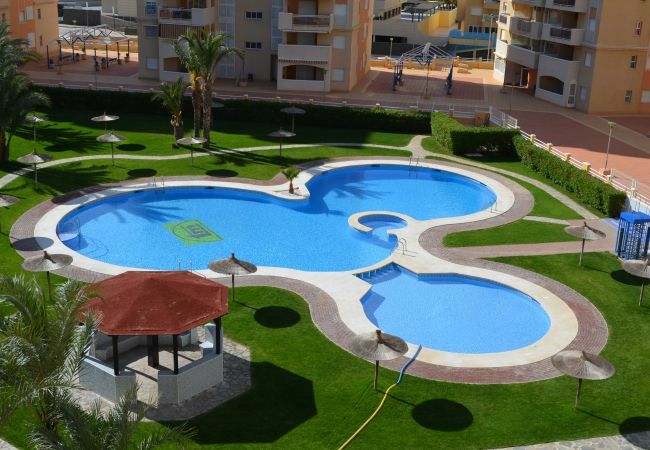 It has a lovely grassed communal pool area, great for families. 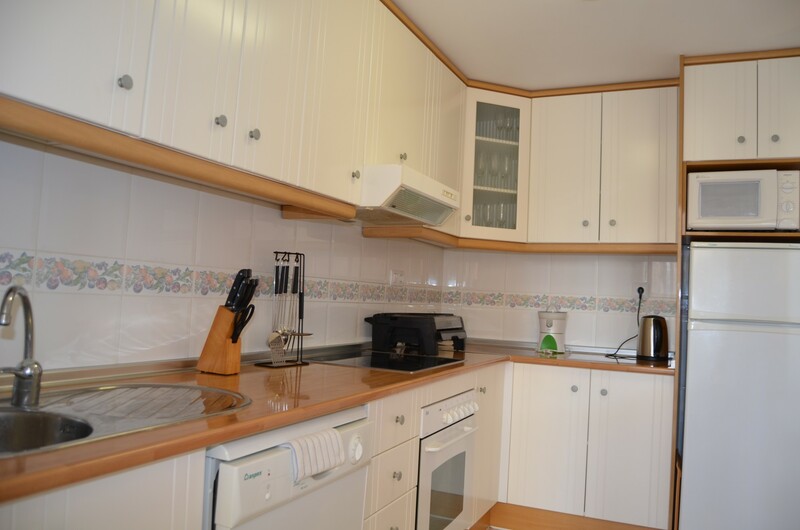 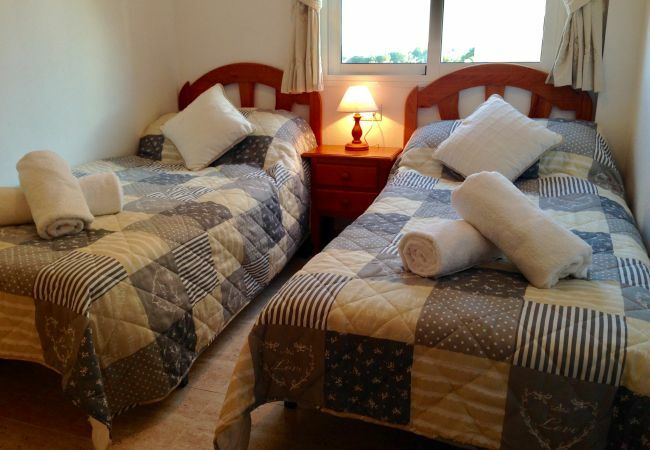 It is close to restaurants and a supermarket and has lovely views of the pool and garden areas. 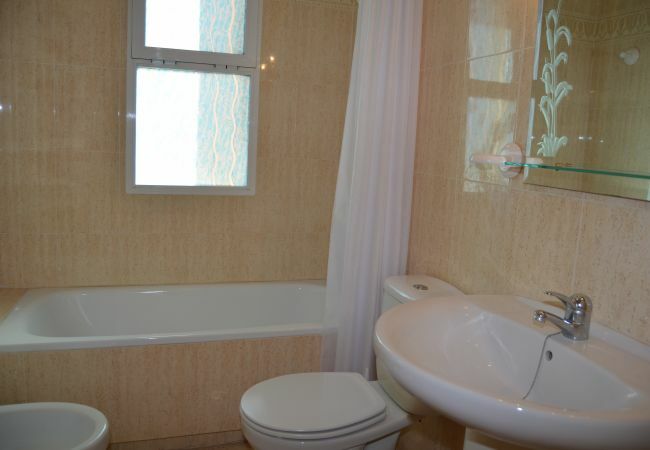 The property has 3 bedrooms and 2 bathrooms. 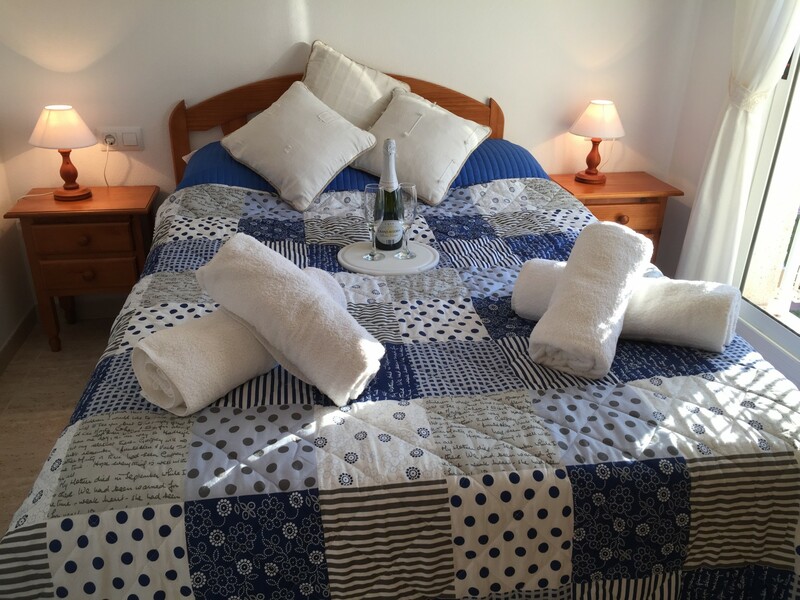 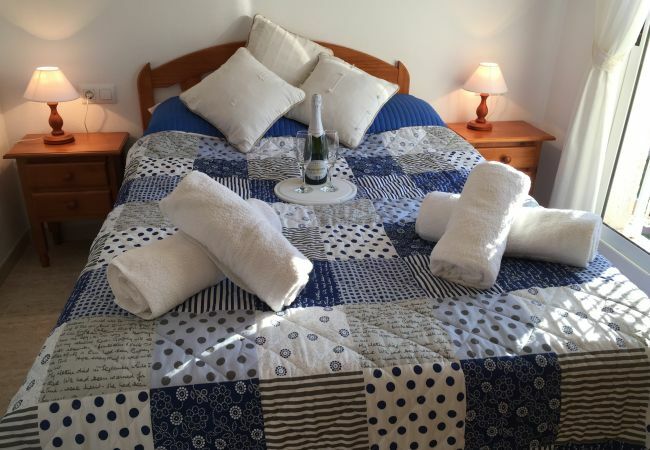 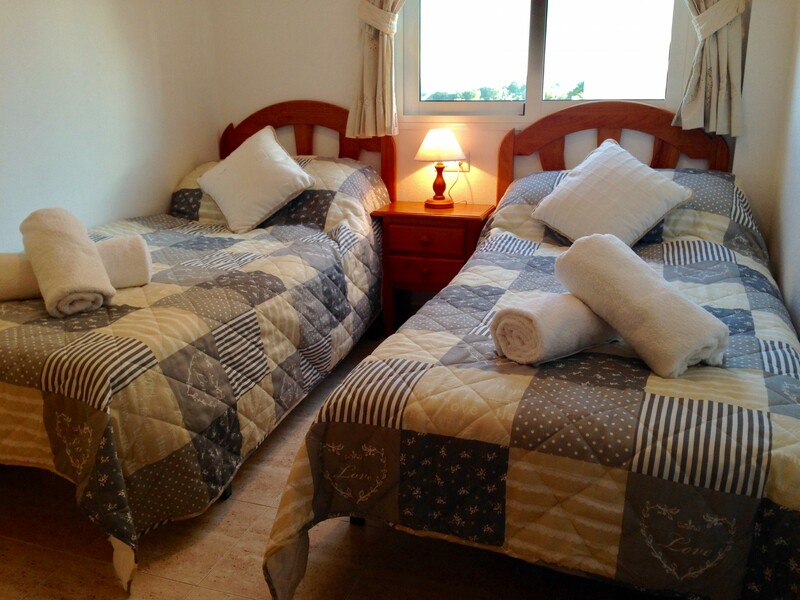 The property has a lounge/dining area, fully equipped kitchen and utility room, air con is installed in the lounge and main bedroom. 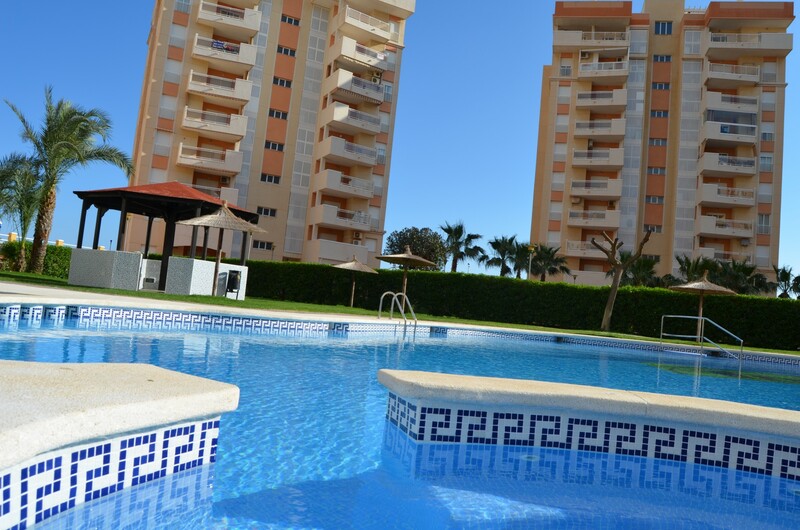 The apartment is less than 100 metres across from the beach where you can relax or have a swim in the Mediterranean sea, a short walk up from the apartment is a small beach located on the Mar Menor sea, these shallow waters are idea for families and is where you can cover yourself in therapeutic mud which is said to be good for skin complaints, aches and pain. 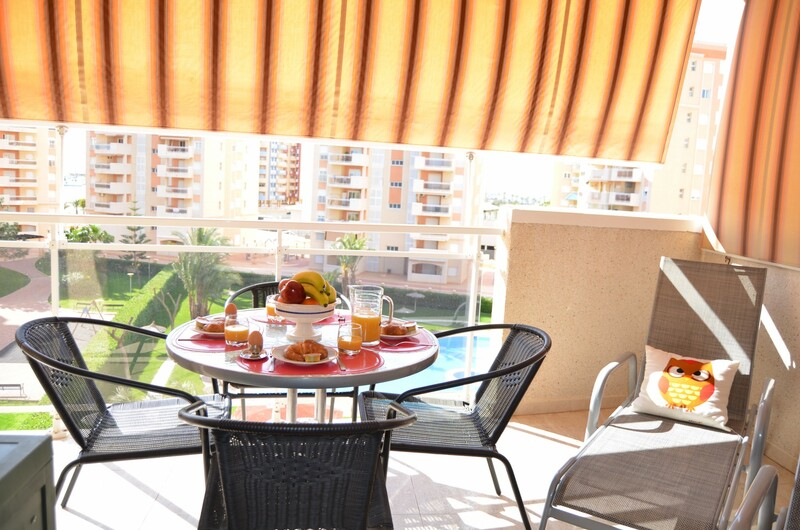 La Manga strip has miles of lovely golden beaches and the it has lots of bars and restaurants to choose from. 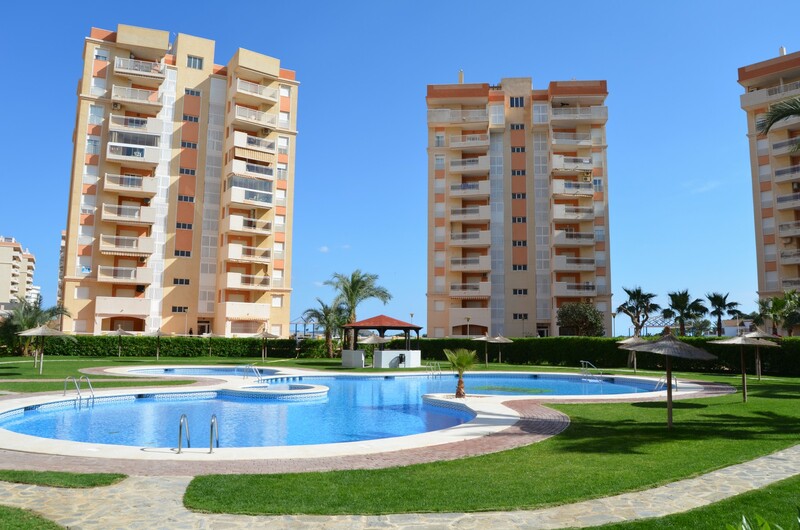 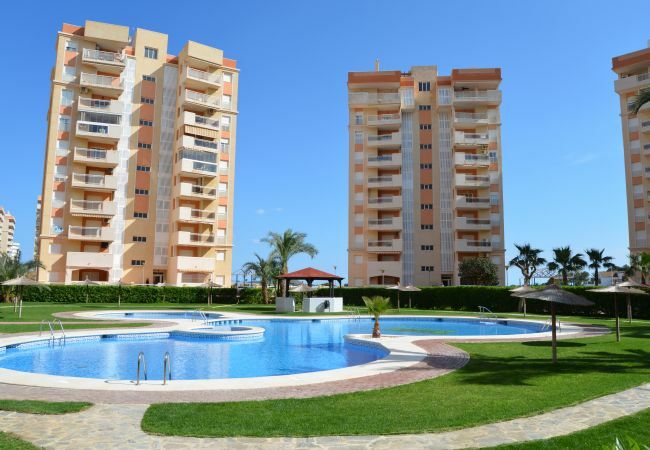 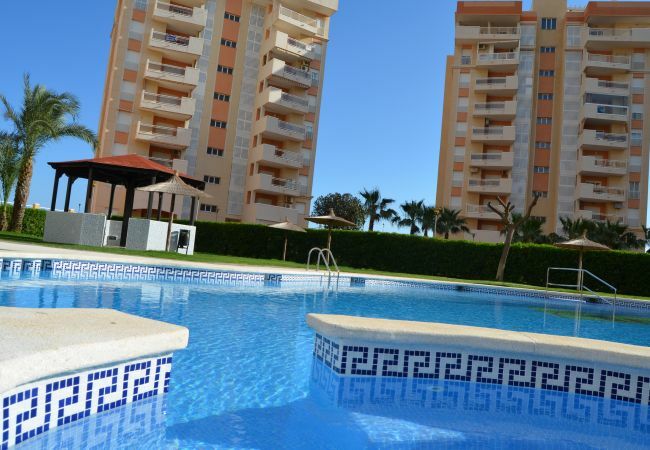 You can enjoy the beaches of the Mediterranean or the Mar Menor within walking distance of the complex. 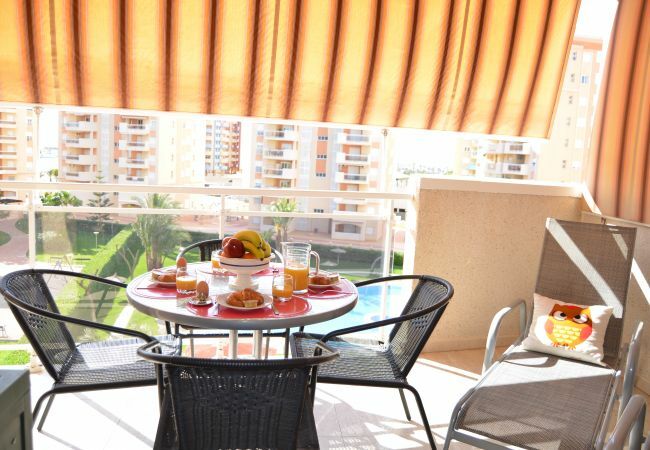 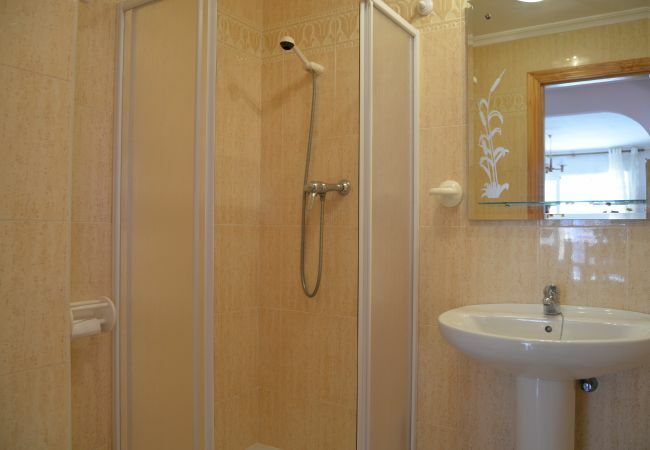 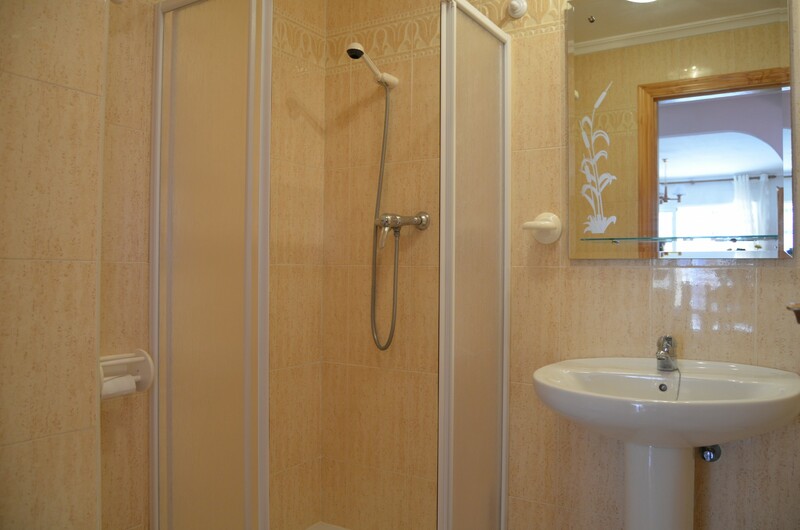 - 1 TV, TV Satellite (Languages: Spanish, English), Stereo, DVD, 4rd floor, lift, iron, internet (Wi-Fi), hair dryer, balcony, 80 m² property, central heating, air conditioning in the living room and in some bedrooms, communal+children's swimming pool, Garage in the same building. 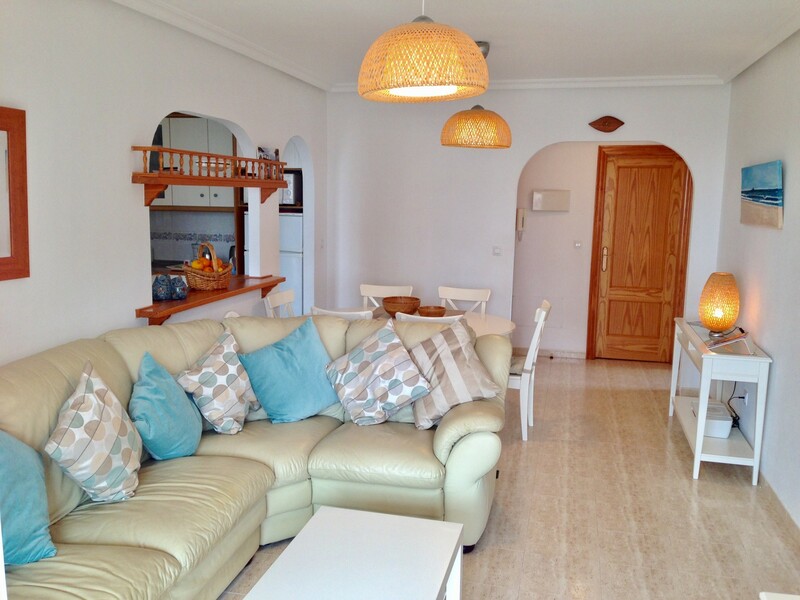 The apartment was lovely and ideal for a family to stay comfortably, great view over the pool, the pool was clean, the area felt safe.